SPONSORED LINKS "Fake pepsi cola factory spotted"
People nowadays aren't safe with all the fake products. Fake beauty products, fake rice, fake bags and shoes and even fake meat. Despite of all these fake products we still continue to buy these. Even if its not our intention, we are victims by the producers. 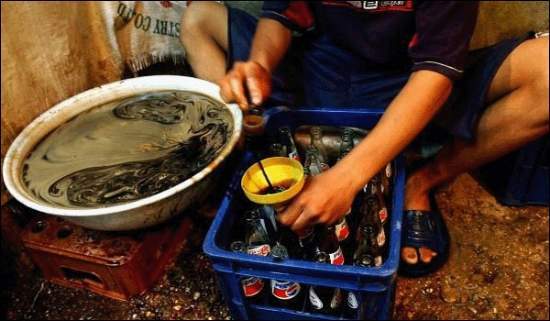 There are news about fake pepsi in Baghdad, Iraq. 6. Used crowns are also used to seal the product.